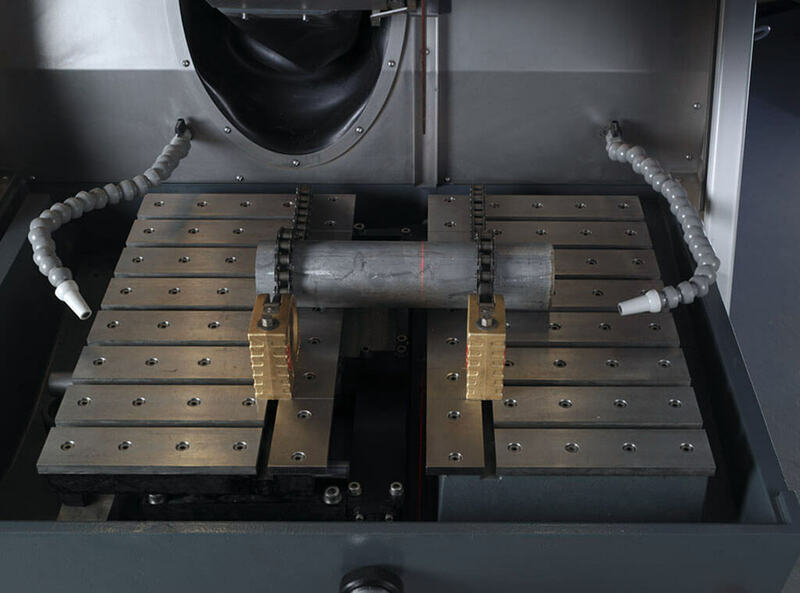 High cutting power and a spacious and accessible cutting chamber makes Exotom-150 ideal for cutting large workpieces or for large volume production. 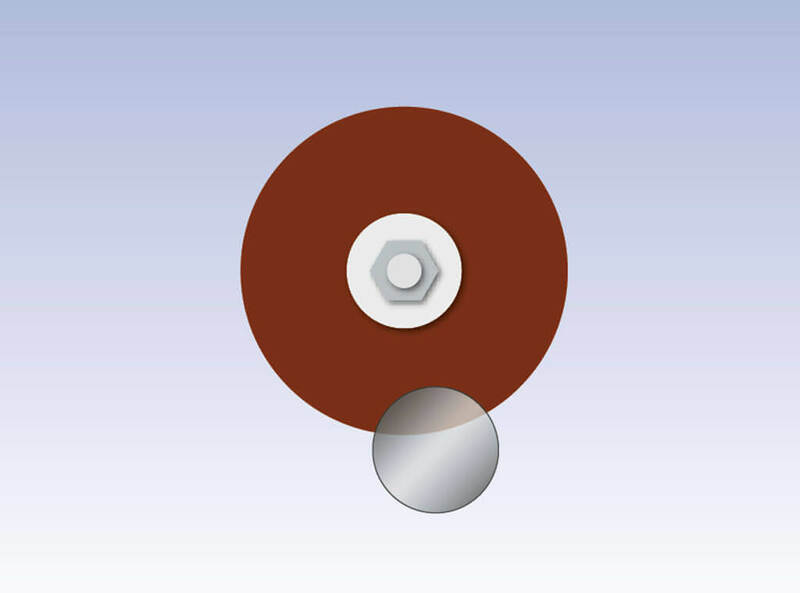 The unique ExciCut feature means faster and cooler cutting, less wear on the cut-off wheel and plane, and deformation-free specimen surfaces. Exotom is ideal for cutting the hardest of materials, faster cutting of standard materials, and very fast cutting of extra-large workpieces. 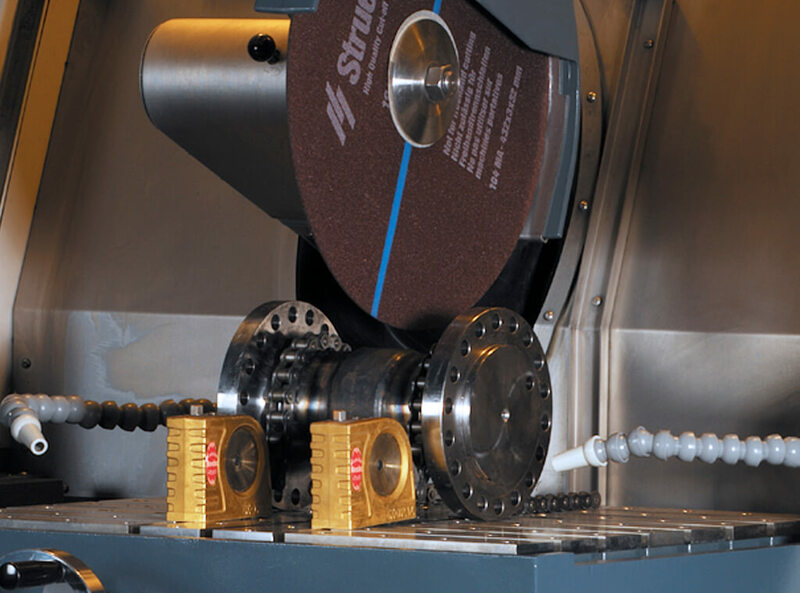 OptiFeed force control enables cutting at the fastest possible speed within set parameters without overloading the workpiece and the cut-off wheel. 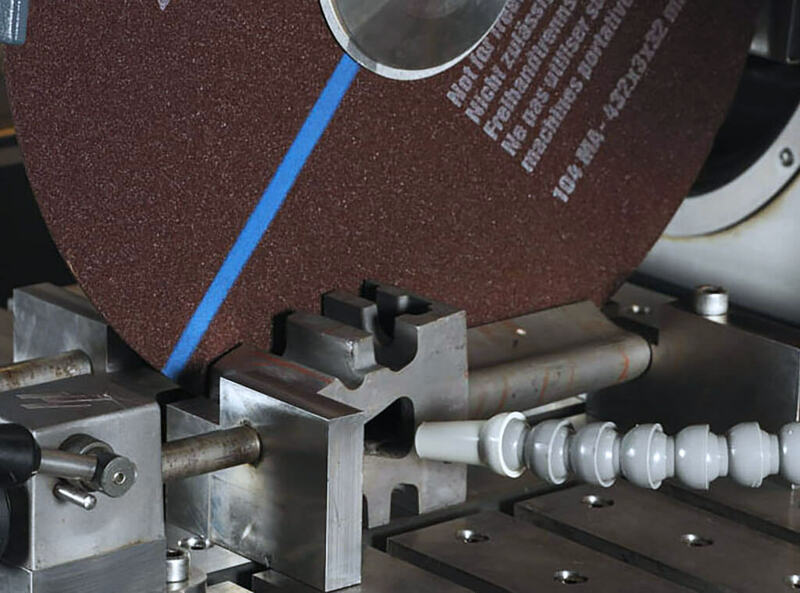 ExciCut technology ensures minimal contact area between the cut-off wheel and the workpiece, with reduced risk of damage and less work in subsequent preparation processes. Two simple keys combined with a large graphic display are incorporated on a swiveling control panel. The multifunction knob enables easy control of all cutting parameters, even when wearing work gloves. The joystick enables fast and precise positioning of the cut-off wheel. 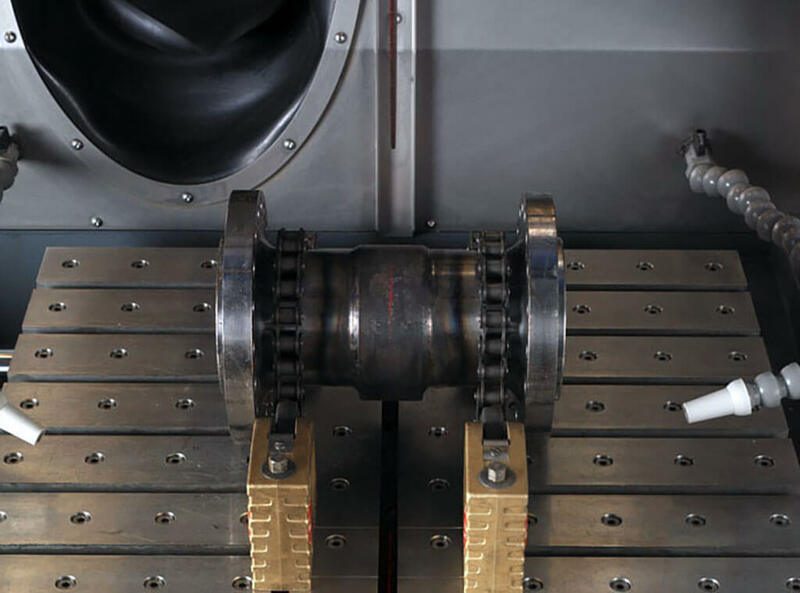 ExciCut uses an oscillating movement of the cut-off wheel to reduce the contact area between the cut-off wheel and workpiece. 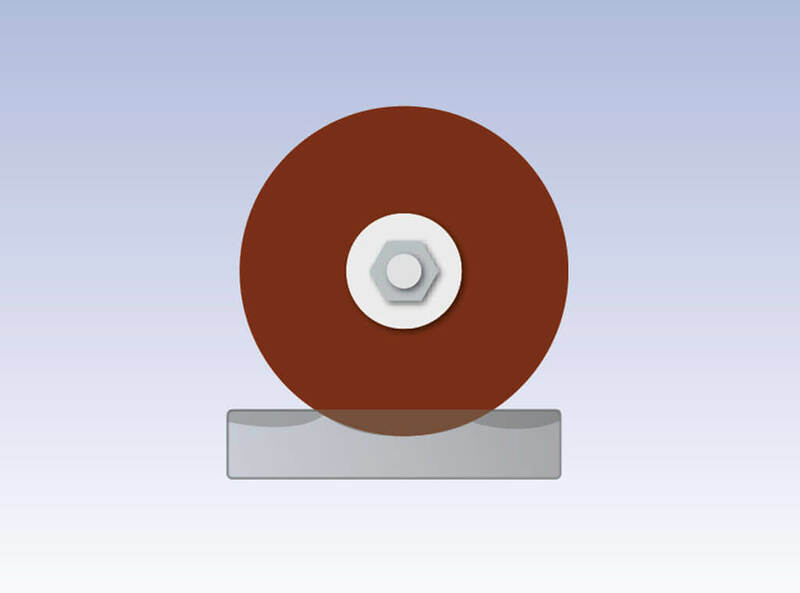 This enables cutting of very hard materials in very large sizes, and also the use of harder cut-off wheels, which increases the lifetime of the wheels, thus reducing costs. 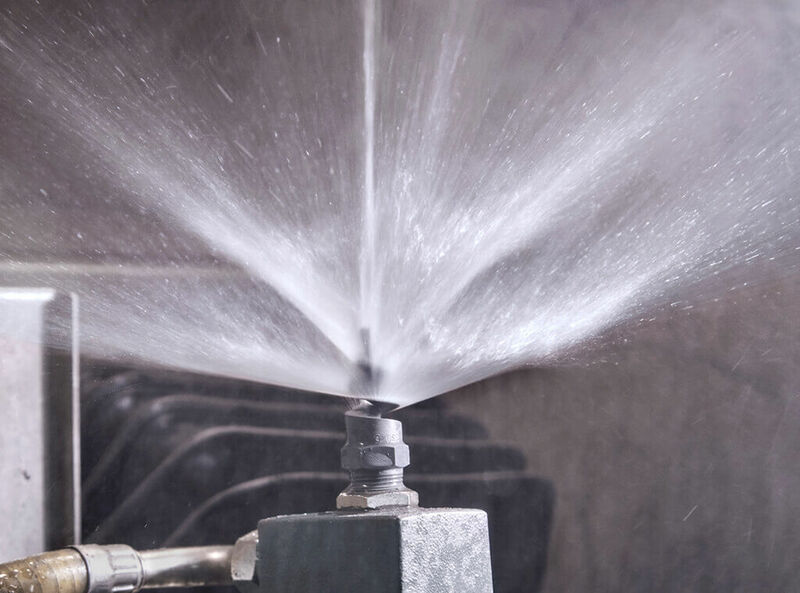 Direct cutting mode is recommended for softer materials where the cut-off wheel moves down in a linear movement into the workpiece at the preset feed speed. AxioCut adds 150 mm cutting capacity for extra-large workpieces. The field-upgradable option includes Step cutting for very fast cutting and Sweep cutting for fast cutting, combined with better wheel economy. OptiFeed optimizes the feed speed without sacrificing the quality of the cut or good wheel economy. During cutting, Exotom-150 continuously measures the load on the cutting arm. 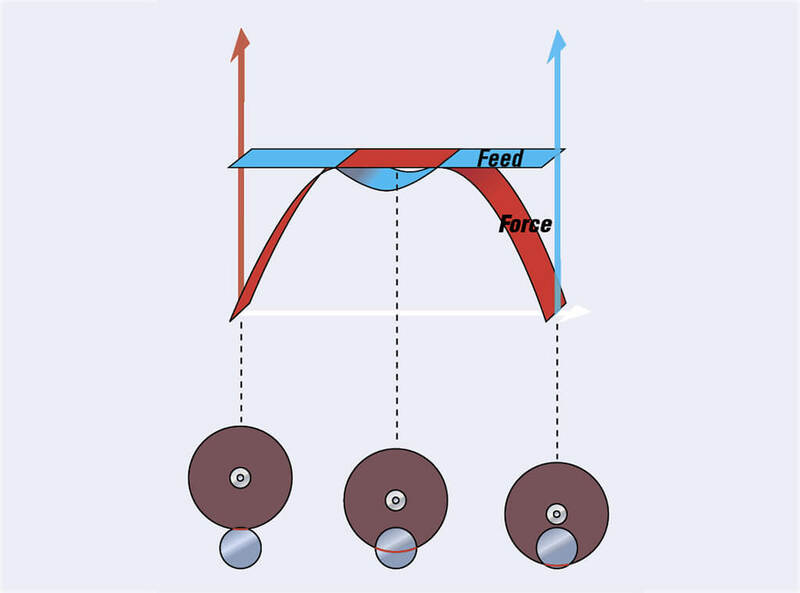 Once the preset force limit is reached, the feed speed is reduced to avoid damage. The feed rate is increased again once the load on the cutting arm decreases. Spacious and accessible cutting chamber. Fixed table and optional, moveable table. Marks the point where the cut-off wheel will enter the workpiece. 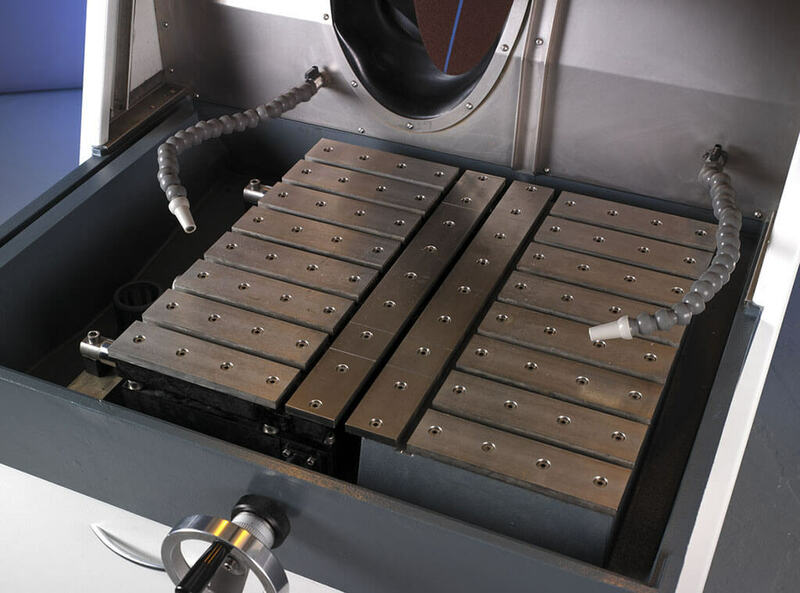 Nonessential controls of the operation modes can be partly or fully blocked by using a pass code to avoid operator errors and damage to the machine and samples. 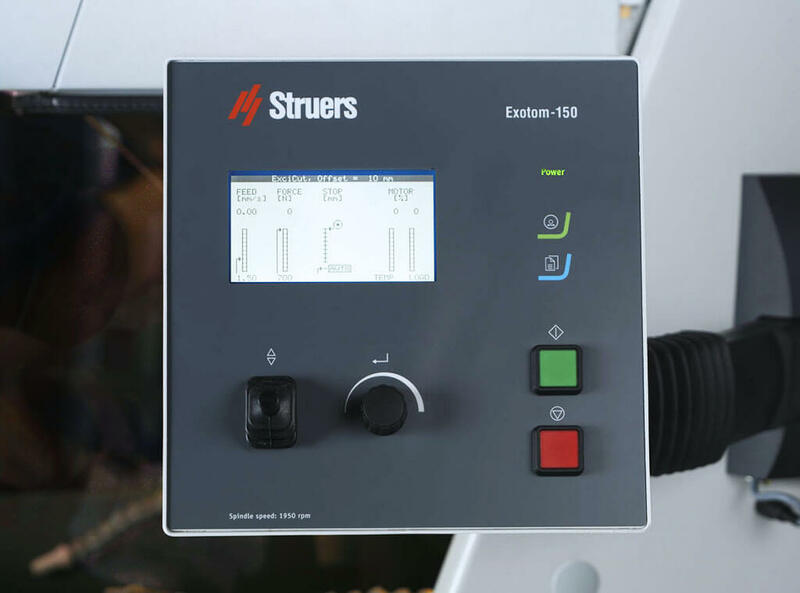 During unattended operation, Exotom-150 automatically detects when the workpiece has been cut through, returning the wheel to its start position and stopping all motors. The QuickPosition function places the cut-off wheel rapidly in contact with the workpiece and retracts it immediately, ready for cutting. It can be used both before and during cutting. Automatic cut-off machine with OptiFeed, ExciCut, and Direct Cut. Same specifications as the Exotom-150, but with moveable cutting table with 12 mm T-slots for parallel cuts. Same specifications as Exitom-150, including Axiocut. Same specificationa as the Exotom-150, including moveable cutting table and Axiocut.